Our artworks are limited only by our imaginations and we are always open to exploring and experimenting with new techniques and materials. 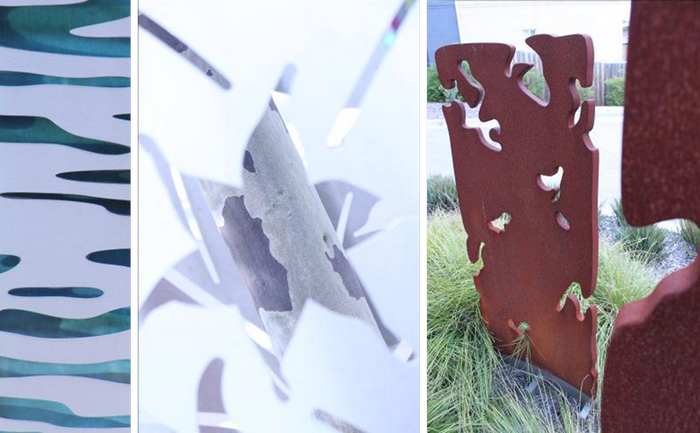 Our public artworks include sculptural works in concrete, stainless steel, rust finished steel, coated polycarbonate, baked enamel and printing techniques. Our private commissions have included stained glass, painting, textiles and photographic imagery.